When the Affordable Care Act (ACA) was passed, Nevada looked to us to help raise awareness of the online marketplace (the exchange) and move Nevadans to buy. 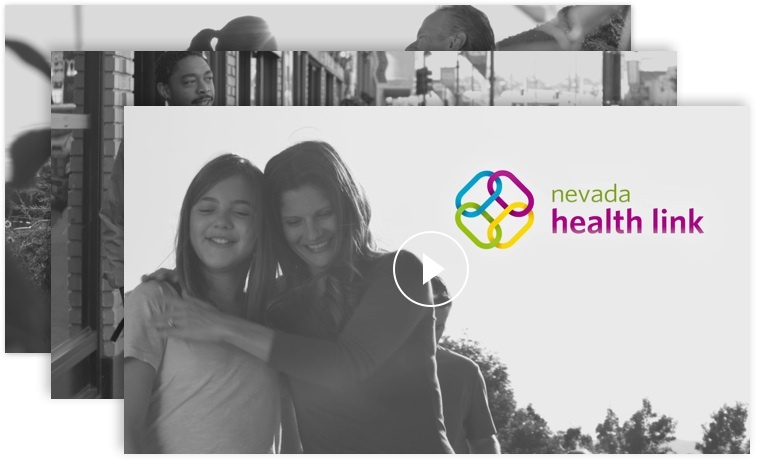 Nevada Health Link was designed to help the under and uninsured find and enroll in income-based health insurance plans. 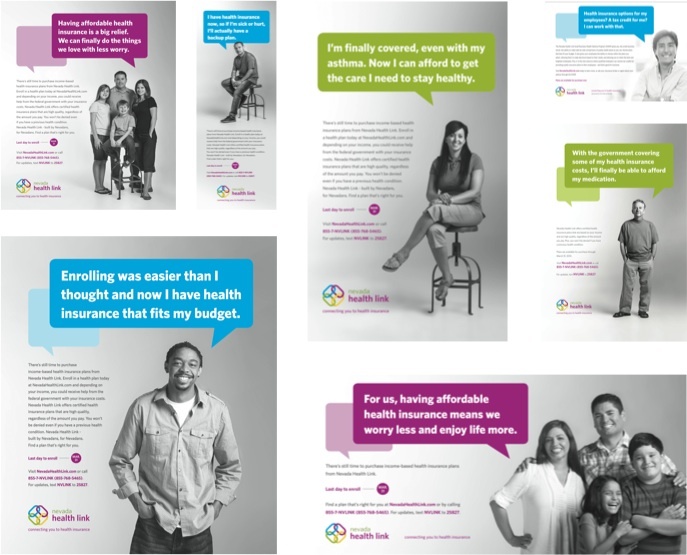 Our work with Nevada Health Link pushed us to select each word, make every design decision and implement all activities in a way that truly resonated with an often difficult-to-reach audience. We started with an exhaustive review of secondary research about Nevada’s uninsured and underserved population, including staff-wide attendance of the Bridges Out Of Poverty training program. Extensive primary research was completed through focus groups comprised of uninsured persons. 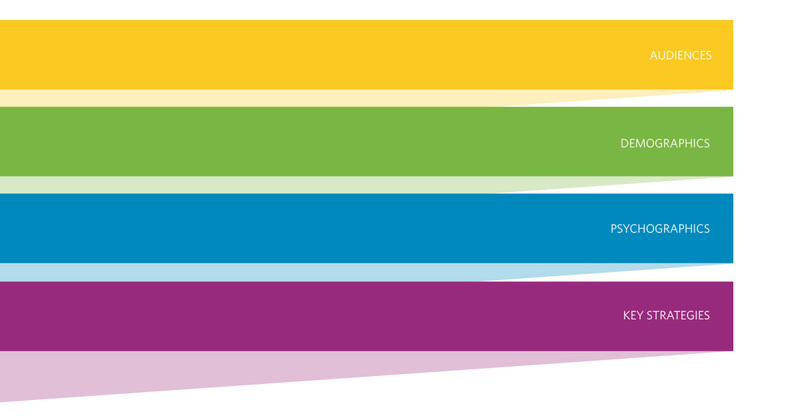 A statewide pre-campaign quantitative telephone survey was conducted to measure awareness, perceptions and attitudes. It showed a very low level of awareness existed about the ACA and Nevada’s soon-to-launch online marketplace. Given the research and our years of experience in healthcare marketing, we developed a comprehensive target market segmentation platform that identified priority audiences, their demographics and psychographics, and key marketing tactics for them. We also developed a channel plan that included our recommendations on resource allocation to “buckets” within the budget, such as outreach to targeted individuals or small businesses, collateral and support materials for entities providing enrollment assistance, and paid TV, radio and out of home advertising. Knowing our target populations’ media consumption habits, this plan also included a very strong mobile/digital media buy. Based on the research with our target audiences (English- and Spanish-speaking), we recommended names, taglines and colors for the brand that resonated with the many audiences we needed to reach. We tested the names and logos in additional focus groups to ensure we were on target. After the finals were selected, we developed a comprehensive brand standards guide to ensure brand consistency and authenticity across all platforms. The campaign was implemented quickly, from initial planning and research in January 2013 to the first outreach and marketing activities beginning in April 2013. The campaign contained two phases: Education (before open enrollment) and Call to Action (during open enrollment). All campaign components were developed to align with these phases. We created more than 35 different television spots of various lengths throughout the campaign. Each ad was tailored with different stories relating to our different audiences. We also created a comprehensive pre-roll campaign and Pandora ads for our “young invincibles” audience. With a focus on reaching our audiences where they work, live and play, out-of-home advertising played a large role in driving awareness among the uninsured. 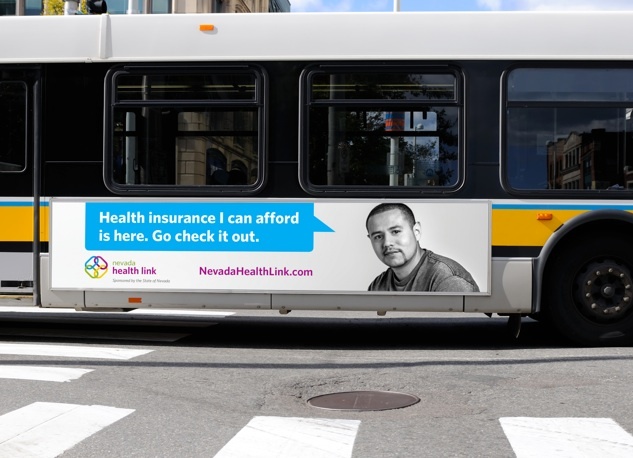 Billboards of varying sizes, digital boards, bus wraps, signage in bus shelters and posters inside the buses themselves graced Nevada’s landscape, ensuring enrollment and key dates were top-of-mind for our audience. While print advertising wasn’t a primary medium in the more metropolitan areas, we knew the statewide campaign would require a print strategy in order to reach Nevada’s more rural audiences. Spanish-language print media was also an important part of the media mix, effectively reaching our Hispanic audiences. Considering a large portion of our audience was underinsured young invincibles (18 to 28-year-olds who believe nothing will happen to them because they’re young and healthy), we knew digital advertising would play a large part in a successful media mix. We also knew digital advertising was a prime medium to reach our young, uninsured families, both English- and Spanish-speaking. Targeted banner ad placement based on traffic patterns of these audiences, a pre-roll video strategy and Pandora portion of the campaign helped reach the uninsured audiences on the sites they visit -- and right where we needed them to take that next step and enroll through the online marketplace. 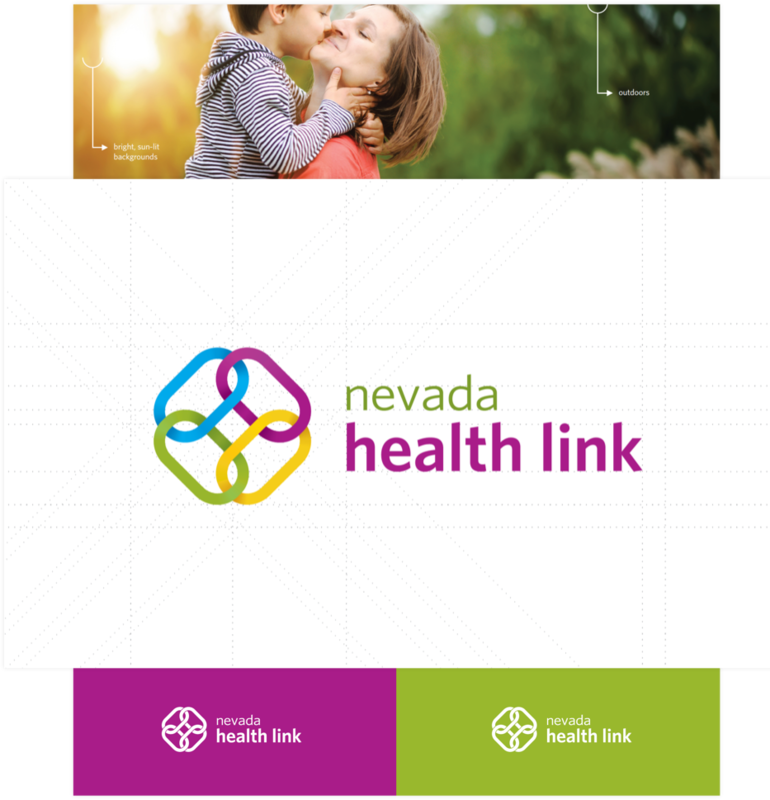 In addition to a traditional marcomm campaign, we were tasked with developing and launching Nevada Health Link’s informational site, which was a resource for consumers and partners as they prepared for open enrollment. 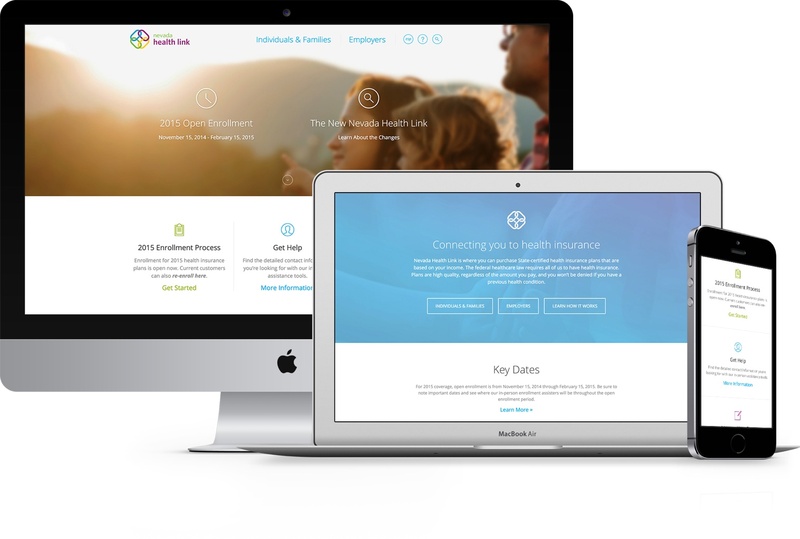 Applying all of the research findings in addition to the established brand standards, we developed a user-centric site based on the information our audiences told us they needed to make educated decisions about purchasing health insurance. Daily analytics reporting and tracking mechanisms implemented on the site helped inform all future adjustments or enhancements to both the site and the campaign. We were also tasked with developing a community outreach program, which was designed to bring the message directly to our audiences, in person. We hired a statewide outreach team to reach targeted persons through nonprofit and government partners, select events, malls, churches, schools and universities, town hall meetings, enrollment fairs, in-home presentations and a door-to-door canvassing program. 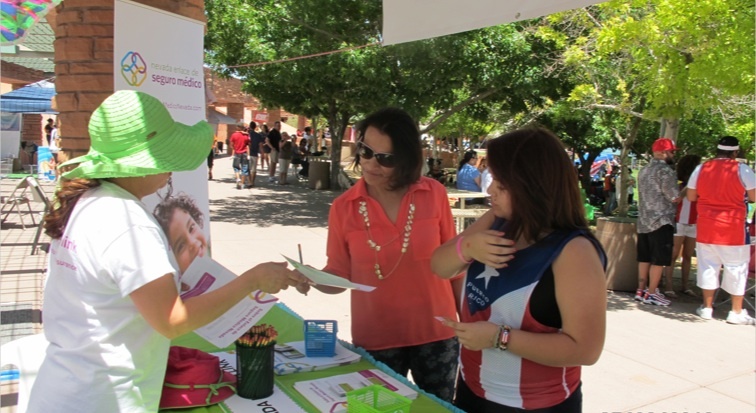 We also handled another form of person-to-person outreach to spread the word about Nevada Health Link: events. We planned and produced two, one-day stakeholder events - one in Reno and one in Las Vegas - and invited Nevada’s legislative staff, insurance brokers, tax preparers, nonprofit community agencies, and county- and state-based social services agencies. KPS3 produced the event, soup to nuts -- from speaker recruitment to program development to site logistics and promotion. The second enrollment cycle presented an interesting, challenging, exciting opportunity for us: open retail stores on behalf of Nevada Health Link that would serve as brick-and-mortar locations where Nevadans can walk in to obtain free, in-person enrollment assistance. Had we done such a thing before? No. Were we up for the challenge? Absolutely. We researched available, strategic retail locations; helped negotiate and execute short-term leases; outfitted each store (one in Las Vegas and one in Reno) with the IT infrastructure needed to equip dozens of computers with high-speed internet; developed retail space decor and furniture that were on-brand and within budget; recruited, trained and managed a team to serve as administrative/front-desk staff; organized and managed hundreds of assisters and brokers to also staff the stores as the official enrollment team; and provided daily metrics to the client. Walking (well, running) the untraveled road laid by the ACA has been a momentous and rewarding task: building a brand from scratch, creating outreach teams, hosting conferences and opening retail stores, all the while managing a statewide marketing campaign. The results to date prove the strategy and approach were spot on. 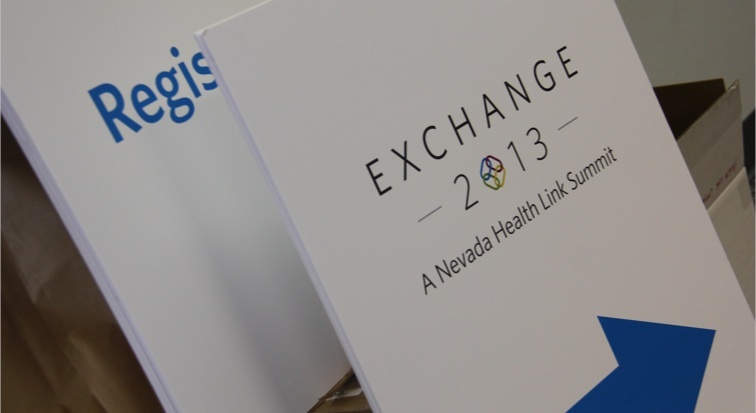 Prior to the campaign, only 11.5% of the general population was aware of Nevada’s online health insurance exchange. Post-campaign, the number grew to 60% among the uninsured. We drove 20 million web visitors (2 million unique) to NevadHealthLink.com and 275,000+ callers to the call center. The media campaign exceeded projected goals in every measurement category and achieved added value equivalent to 23% of the total paid media buy. The outreach campaign also exceeded original goals by more than a half million touch-points at a mere 87-cent cost per touch.